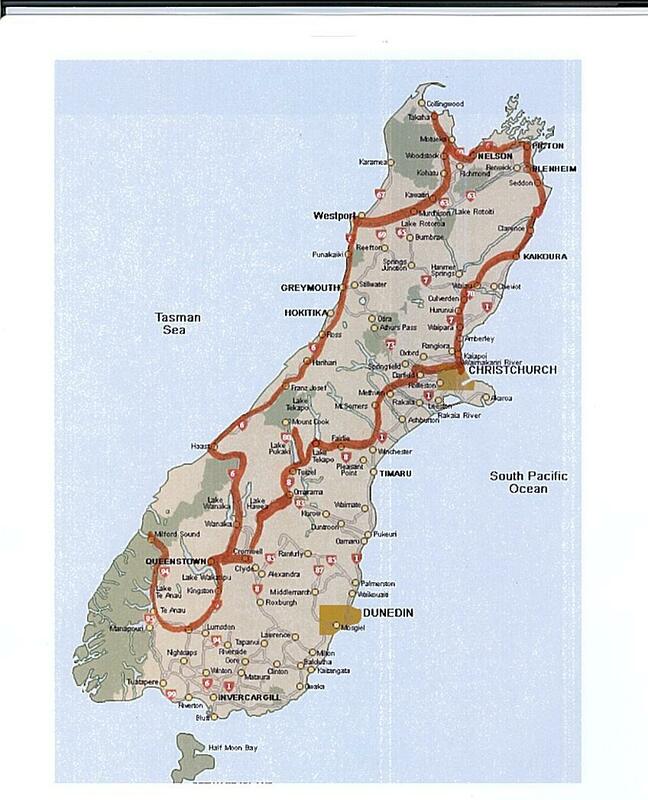 Attached are two images of the South Island highlighted with our proposed route. 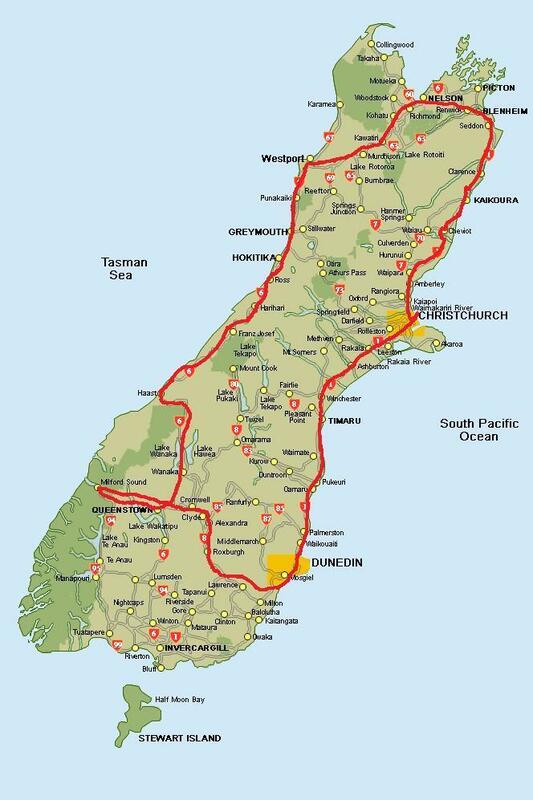 I have read that the South Island has some of the most challenging yet beautiful rides in the world. 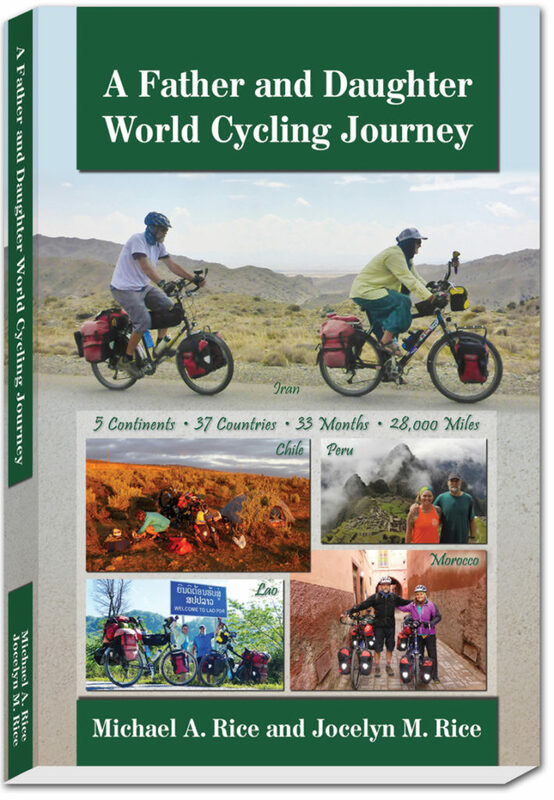 We hope to incorporate many of those rides in the six weeks we have allocated. Since the season will be early spring (October in the southern hemisphere) there will be the weather to contend with as it can still be cold, windy and rainy. So along with all the hills and mountain passes it could be very adventurous. The mountain passes in New Zealand were designed and built with an “up and over” mentality as it was cheaper. In the US and Europe there are long, winding, less steep switchbacks to get oven the top. Because of this we will ride less per day. On our last adventure across the U.S. we averaged about 75 miles per day. The daily ride will be considerably less this time. We also will be carrying camping equipment as in some areas backpackers (hostels) and motels can be few and far between. So even though the added weight from camping gear will be difficult I feel it is a must have on the South Island. 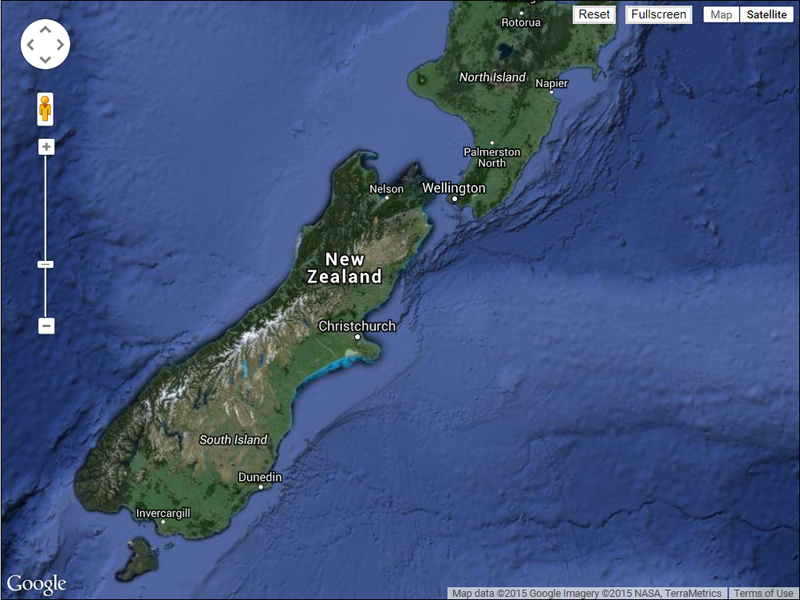 The South Island sits right at 40 degrees south latitude also commonly called “the Roaring Forties”. The weather roars in on the west coast from the Tasman Sea and hits the Southern Alps dropping heavy rain up to 35 feet per year on the west coast rain forest before drying out in the middle and east coast. This was my the first proposed route I came up with. 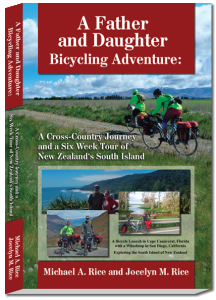 It entails most of the South Island of about 2,000 miles over 6 weeks. After several emails with Natural High Bike Shop in Christchurch it was suggested that instead of cycling from Queenstown to the east coast and back up to Christchurch on the heavy trafficked SH1 that returning to Christchurch by way of the interior would be more interesting with less traffic. This route would take us up the eastern part of the Southern Alps and Mt. Cook. 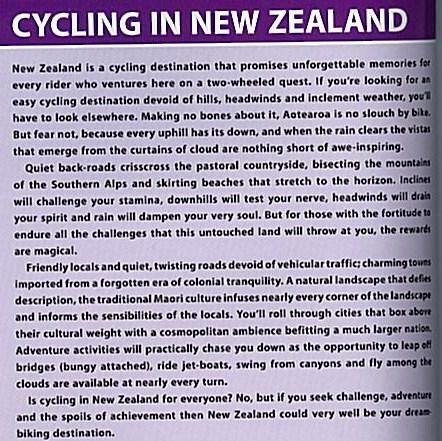 An excerpt from the Lonely Planet “Cycling New Zealand” book. 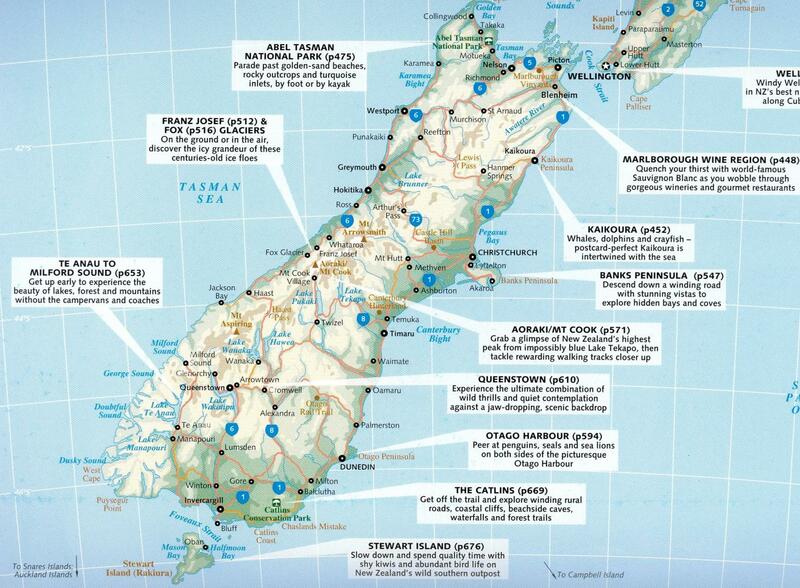 From The Lonely Planet Cycling Guide to New Zealand. These are some of the routes we plan to take.